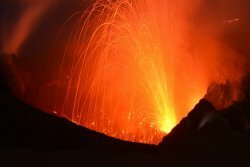 En 2014, les participant ont pu assister de près à plusieurs magnifiques éruptions de volcans qui offrent un spectacle inoubliable par leurs couleurs incandescentes la nuit. 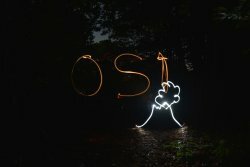 Si vous hésitez entre un séjour scientifique et un séjour linguistique voici le séjour qu’il vous faut ! 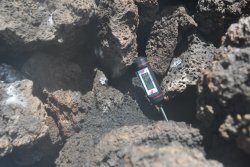 10 jours à crapahuter sur 3 volcans en éruption, tout en menant un projet de journalisme scientifique en anglais sur le thème du volcanisme, des îles et du changement climatique. 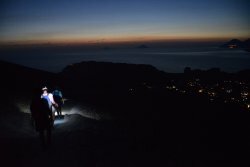 Vous serez amenés à faire de la randonnée sur les versants du Stromboli, de Vulcano et de l’Etna, pour comprendre les différents types de volcanisme et ses diverses manifestations. Enfin vous plongerez également dans les eaux chaudes de la Mer Méditerranée en palme masque tuba pour explorer les animaux et l’environnement d’un fond marin établi sur une roche volcanique. 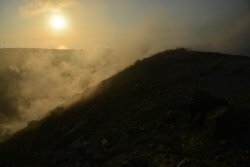 Ainsi vous participez à l’avancement de solutions en faveur du développement durable concernant les relations entre la géologie et la climatologie, notamment au travers de l’impact du changement climatique de la planète sur les roches, les versants et les espèces animales et végétales ! I woke up at 4:30 a.m. It was really early but mustn´t miss the plane destination Sicile. When I was in the waiting room in front of gate b1, I met Nathalie who was a member of « Objectif Sciences International ». I also met Geoffrey, he is 17 years old, he would become a geologue. At 6:30, we have to enter in the plane to Catane. Ultimately we have it, it’s a Citroën Picasso. Now direction to the Auchan to do shopping for food. After this short break we continue to go to the camping. It’s near the sea. We can see the Etna from that point but it’s cloudy so it’s difficult. The camping is very big, there are many mobile homes and caravans. Our place is located near the entrance, there are many trees and we are protected from the sun. It’s already 2 PM so we make a salad with tomatoes, mozzarella and chicken. 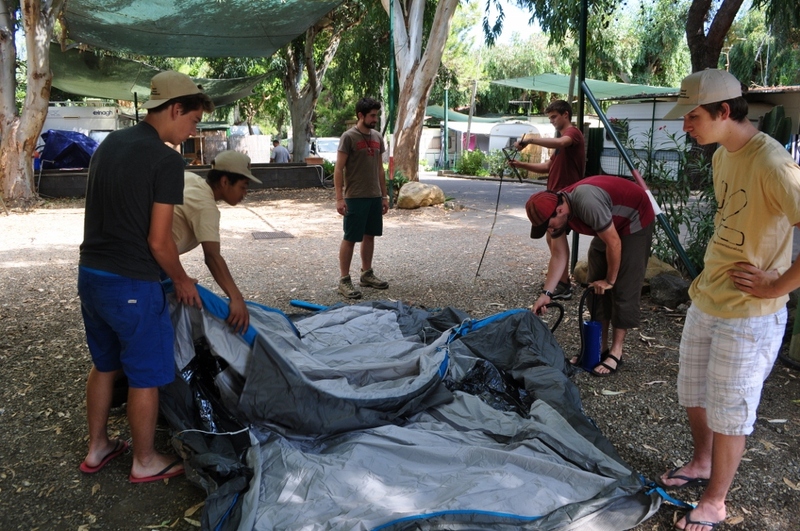 After tis good lunch we put up the tents before putting our swimming suits to go to the sea. We walk down the camping, arriving at the sea, it’s red flag so we can’t go in the water but we pur our feet anyway in the water. We decide to go to the swimming pool of the camping. It has salt water but we enjoy a lot. After taking a shower, we prepare the dinner, it’s pasta « spaghetti ». A new member came into the group, it’s Nastya and she comes from Russia. We discuss about everything and nothing, so that was it for the first day of this beautiful adventure. 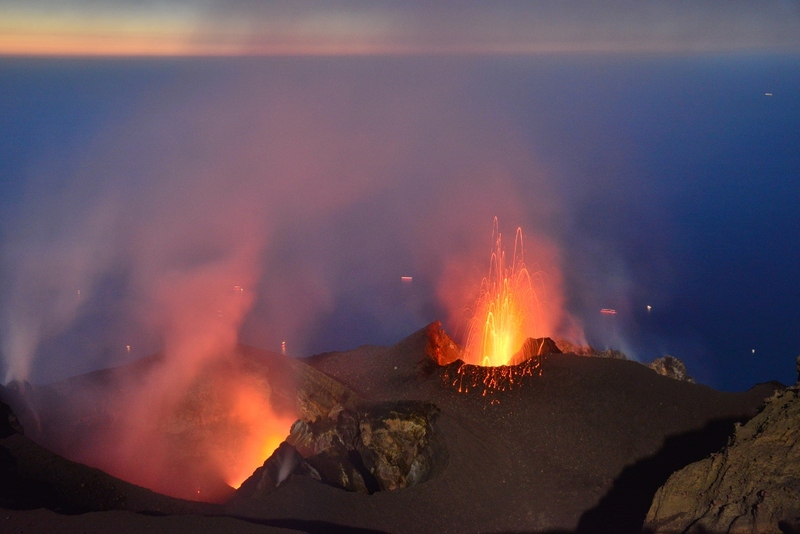 Tomorrow we are going to climb Etna. We began the second day by breakfast at 7 o’clock. 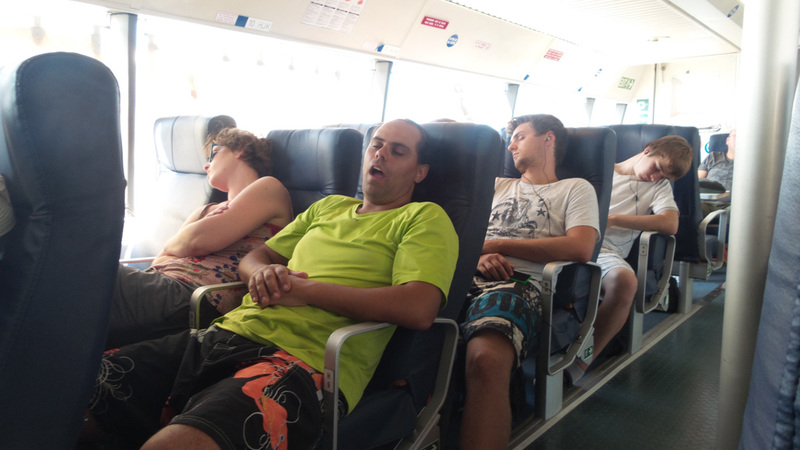 Some people were very tired because it was a very noisy night (italian people speak very loud). Then we went to the volcano of Sicily « the Etna ». After 1 hour in car and cable-car we began walking. We climbed 400 meters with some breaks. Before we took the cable-car Marcos explained us the reason of the lava colour ; black with sulphur and red without any suplhur. 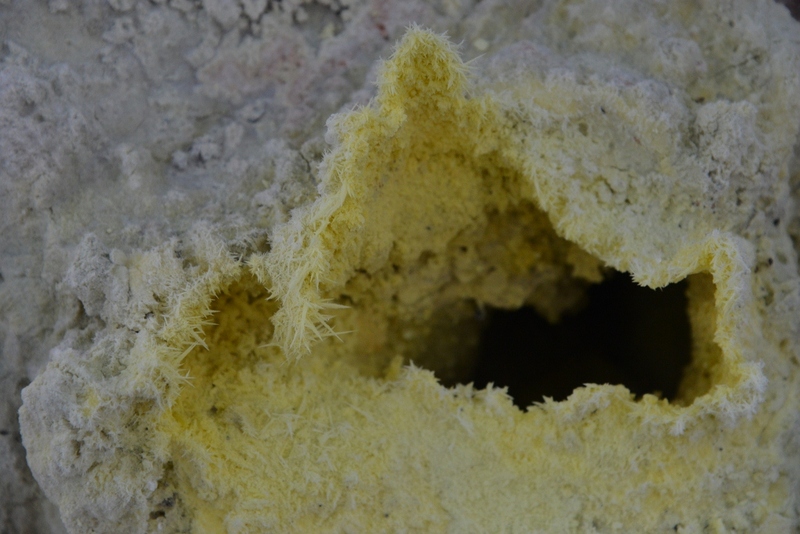 Yellow colour represents native Sulphur. Before the lunck we took temperature measures of the water vapour, the maximum was 80ºC. At the top the temperature was very low with a cold wind so we went down quickly. we took for the second time the cable car for to go to the car and come back to the camping with a load of volcanic bomb to try to sculpt faces on. After the dinner, Emilie and Nathalie had to imagine a game for us to speak english. That was very a nice game. After the game we went to the camping party. Louis and Romain danced on the music (very good dancer) like gangnan style, we came back to the tent to sleep and wait for the third day. Today we woke up later than the others, approximately at 8 o’clock. 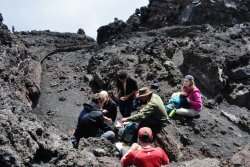 We took breakfast and we prepared to visit a cave on a side of the Etna. 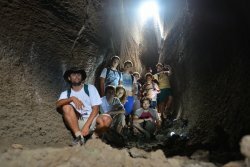 We went on the volcano with car, then we have walked half an hour to arrive at the entrance of the cave. 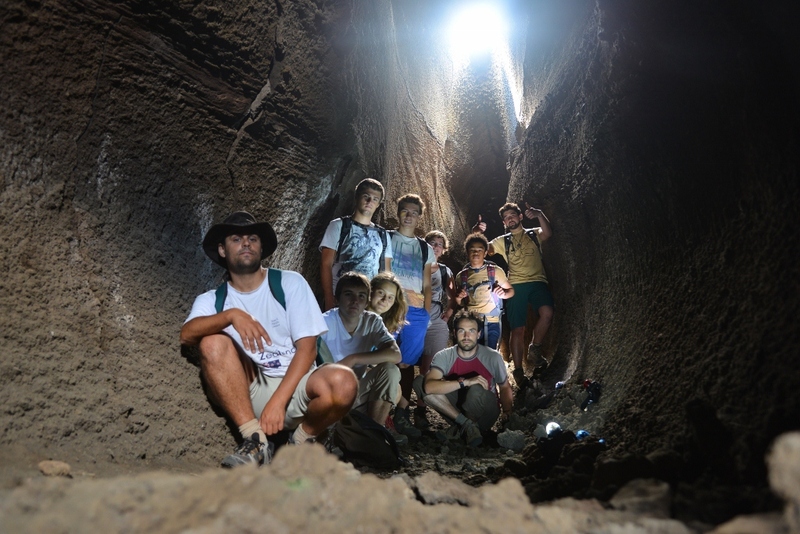 We explored the cave 30 min. until the end of the way. 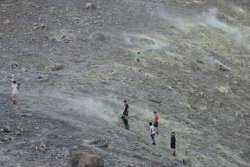 It was formed by a lava flow and we measured 300 meters long, and 40 meters deep. Then we ate the lunch under some trees, and we went down to take the cars. 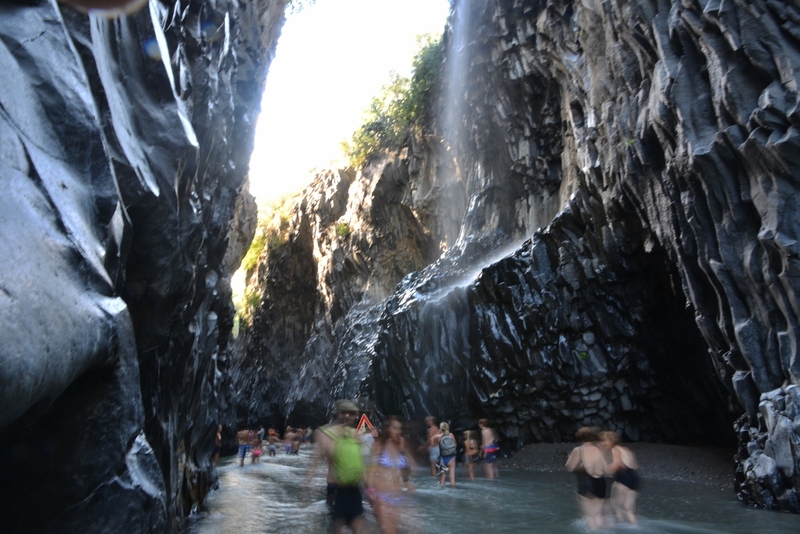 We drove during one hour to visit gorges made of basalt columns. We had a swim -the water was so cold- and we went back up the river. 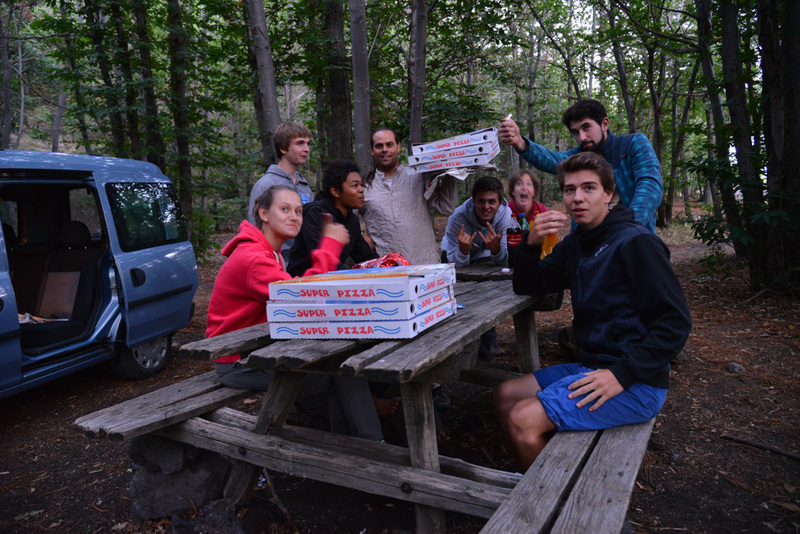 Finally we came back at the camp, we swam in the swimming pool and now it’s time to eat dinner ! We began the day with breakfast at 8 AM. Then we prepared our luggage and went to the train station by car. We took a train to Messina and bought the tickets inside. Arrived at Messina, we ate « arancini », which is a fried ball of rice and vegetables very typical in south Italy. It tasted really good. After the lunch we went to see a train that was inside a boat. Then we played « president » card game while we were waiting for the train to Milazzo. 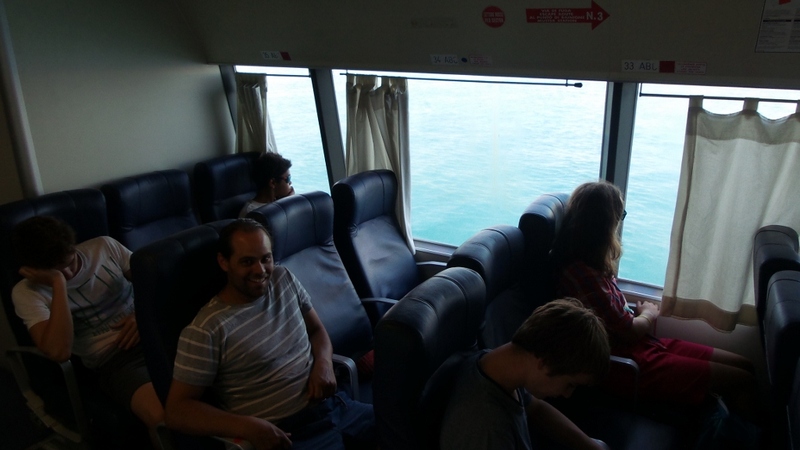 When the train arrived we took it and, at Milazzo, we took the boat to go to Vulcano. We went to the camping by foot with the bags and camping material, it was so hard that after that we went to the beach to swimm. The day started not as early as usual -we got the « free wake-up » now. We had our traditional tasty breakfast and the wonderful activities began. The first thing was to go swimming in the sea to explore its unique underwater life. 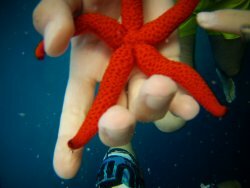 That’s why Marcos gave us some information guides about the mediterranean sea life : They were interesting and we got prepared to what we were supposed to see. So we went to the beach, checked our masks and started the swimm. 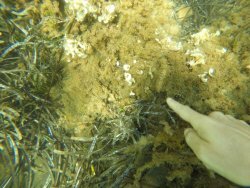 It’s not that wasy to explain everything happening underwater : Corals, fish of al colours, crabs, jellyfish, sea stars and the water glowing because of the warm sunlight. To say in three words : Thas was amazing ! 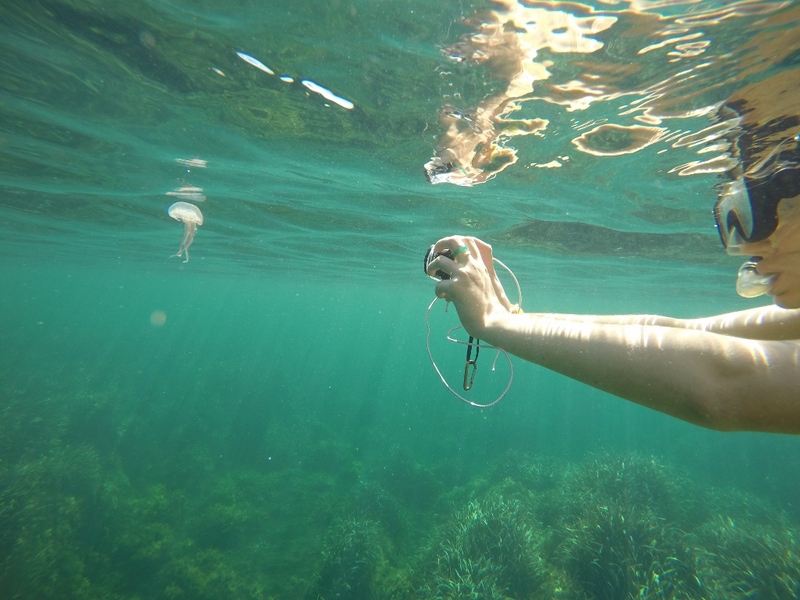 We had two go-pro cameras, so we could record the whole beauty. After the swimm we collected some rocks on the beach : Pumice of all sizes, floating easily in the water, obsidian -volcanic glass and lava with nice mineral crystals-.The lunchtime had come so we had some tasty burritos. After that we had free time, so we went for a walk to the town. It was nice, except the extreme heat. 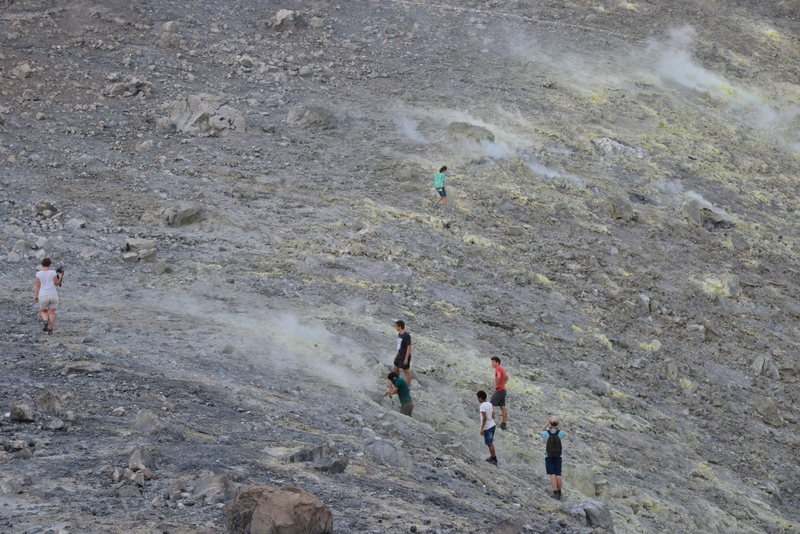 At 5PM we started climbing up to the volcano. Soon we were in the crater. In the Vulcano’s crater there are some great fumaroles with beautiful sulphur crystals, smoke and the giant heat (the maximum we measured was 93ºC). 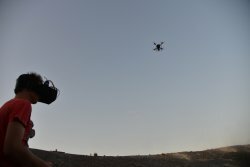 This time we testd our drone -a teachie that lets you see the view from tenths of meters high-. The video and photos are really great. The fumaroles and the crater were extremely beautiful, but the best thing was waiting for us in the future. 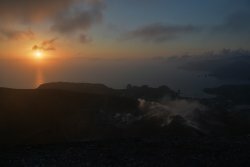 When we got out of the crater, it was already late evening, so the sonderful red-orange-pink sunset started to appear. 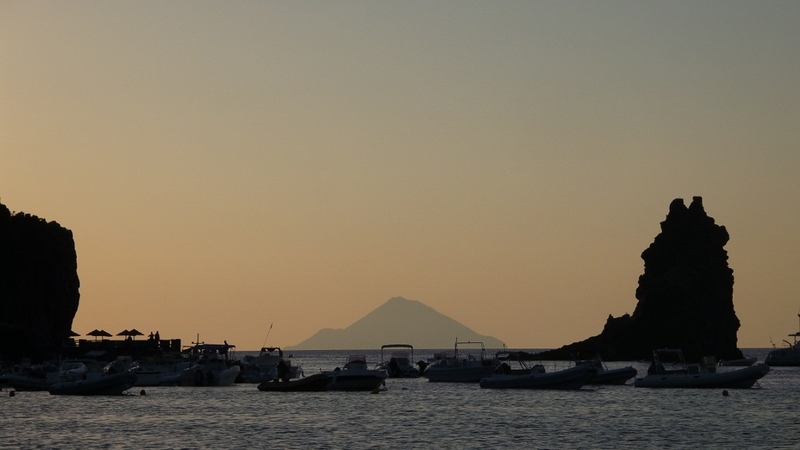 Almost all Aeolian islands could be seen from that high. 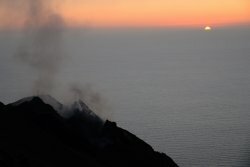 We could even see some red lights on Stromboli, it seemed to be an eruption. The town was lighted as well. So, imagine the picture : The spectacular sunset, the volcanic islands, the blue sea, the golden town -that’s when you understand, what the happiness is being in a wonderful place with good people, not worrying about anything-. That’s more than enough. We stayed there until the darkness came. We switched flashlights on and began the way down. 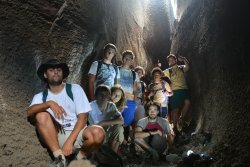 Finally we appeared at the camp and started cooking dinner, after which we watched the photos called « every geologist must visit it » by Marcos and went to sleep. Today, we took breakfast rapidly and go to snorkelling until 12 o’clock. During this time, Gaël and Geoffrey went shopping for the lunch and the dinner. After the lunch we waited until 5 PM to go to the museum about Vulcano. 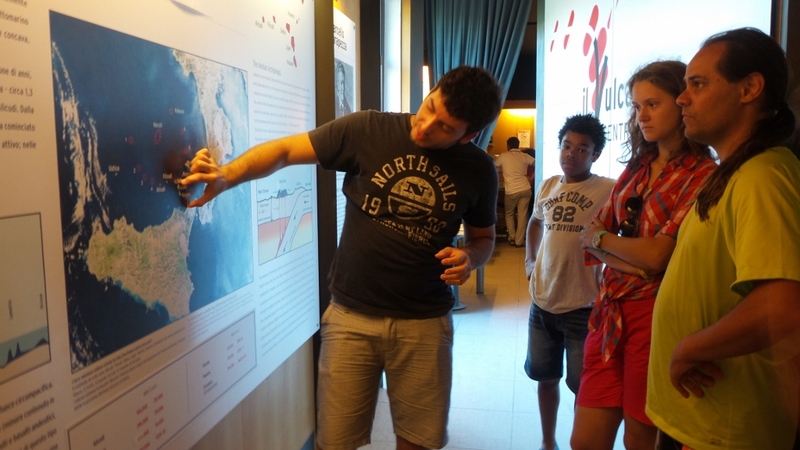 In the museum, a man explain us in english the geology of the Eolian island. 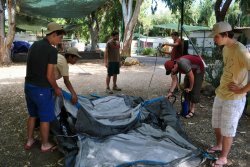 After that, Marco staid in the camping to prepare the dinner (typical spanish cooking). The others climbed for the second time the top of Vulcano to watch the sunset. We went back to the camping for take a good dinner (thank you Marco) and go to sleep. (Note from the staff : Today we will be at Strómboli island where there is no internet connection available, so next update will be in 2 days from now). Today we woke up at 8AM to breakfast and we went to the port to buy board pass. 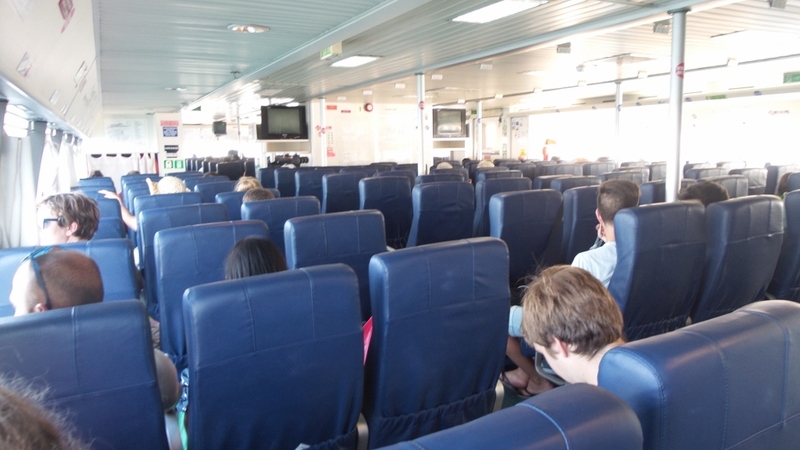 We navigated during five minutes until Lipari and we took another bord until Stomboli. When we arrived on Stromboli island we ate near the church under trees’ shadows. We visited the village to wait the guide. 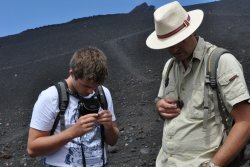 When the guide arrived, we equipped ouurselves to climb the volcano. 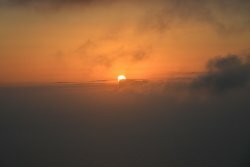 We walked during two hours and a half to reach the top and admire the sunset. 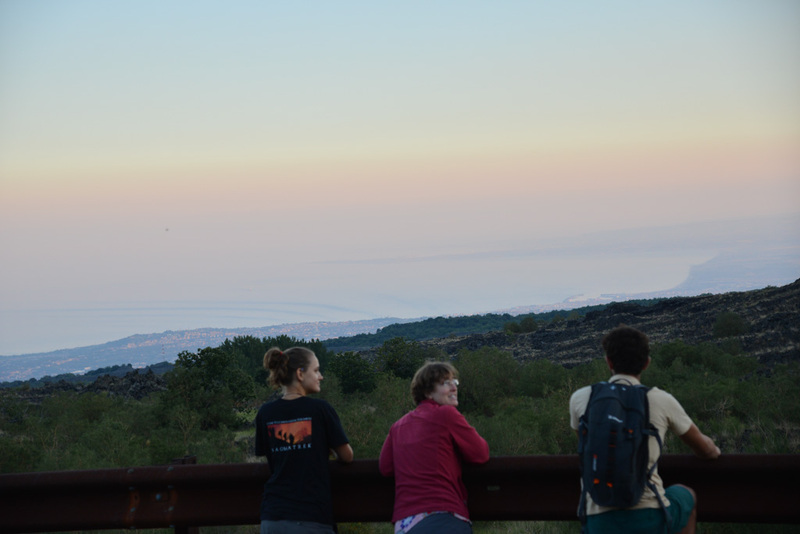 Then we sat down to contemplate some lava and dust explosions. After one hour at the top, we began to slope down with masks to protect yourself from the dust. 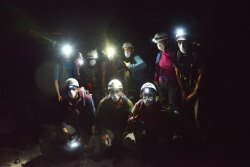 When we came back at « Magma Trek » mountain office we ate sandwiches and cookies. Finally, we went to the beach in order to sleep. 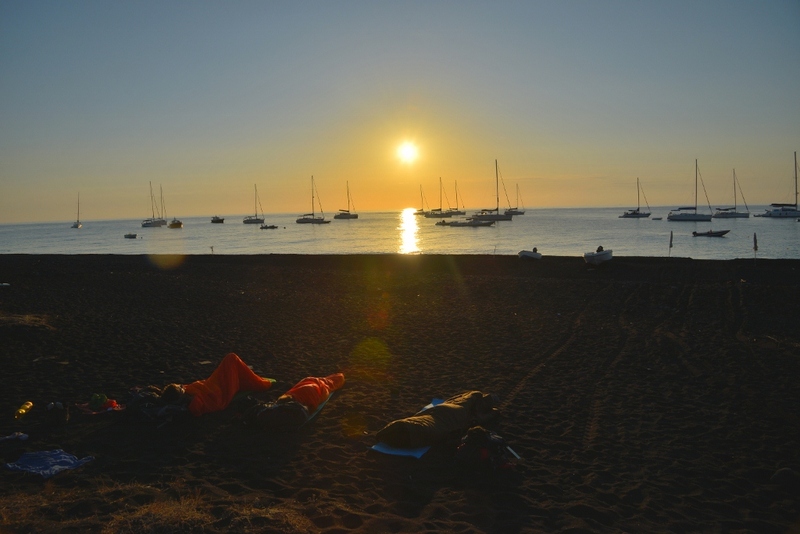 Written by Romain Today, we woke up with the sunrise on a beautiful beach of Stromboli island. Whe we woke up, Emily and Pierre-Alain was already in the place. So, they had slept just near us during the night. What a coincidence !!! We returned in the village fr breakfast near the church. 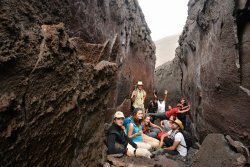 At 11AM, we came back to Vulcano island with Ustica Lines company. When we arrived at the camp we ate a really good salad. During the afternoon, some people went to the sea for snorkelling and some people stayed at the camp. At dinner time there was a huge pizza for all of us ! We woke up at 8 o’clock. Yesterday we had two possibilities : To go to the Etna or to stay in Vulcano one day more and we decided to stay. In the morning Marco, Anastacia, Roman and Louis went to snorkel. 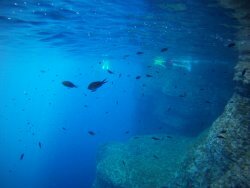 They have seen many of jellyfishes and fishes. We probaly also saw a shark and Marco captured a dead moreine. 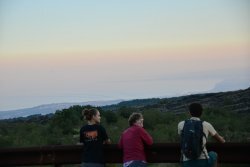 The other people stayed at the camping and went again to the vulcanologic center. At noon, we had pasta and tomato sauce but we had a problem, it was overcooked. After this « beautiful » lunch, everybody had a rest at the afternoon. 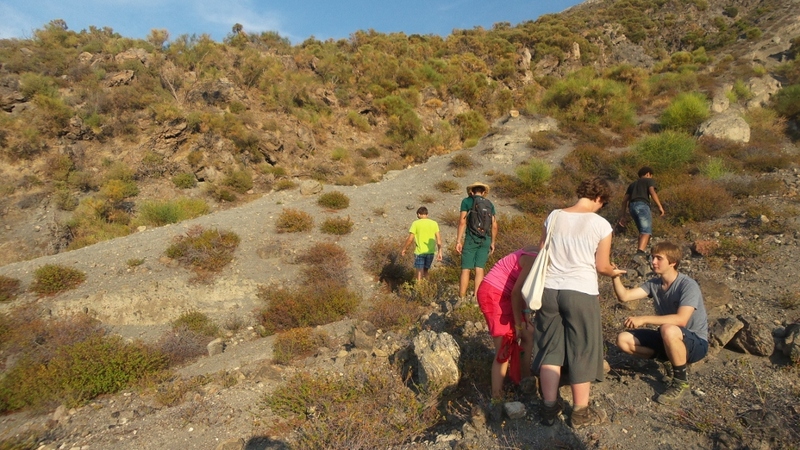 At 5 o’clock we went at one site of the Vulcano to search for obsidian. We found a lot. Nathalie, Louis, Vincent and Geoffrey came back to the camping and the two first went to the « bubble sea ». Roman and Hélory went to the other side of the beach. We ate a salad of pasta that was much better than at noon. 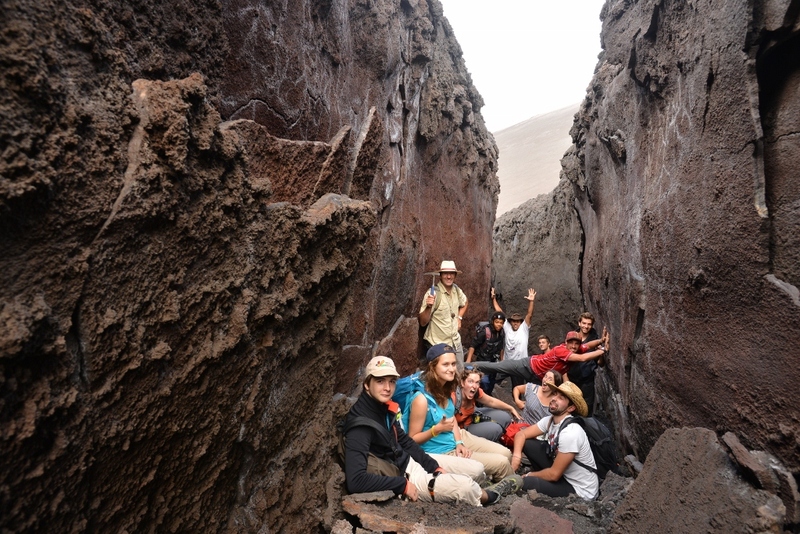 Last day of our expedition ! It’s time now to leave the island of Vulcano. 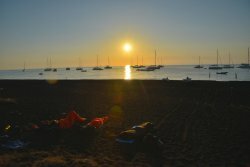 That proves to be a hard task since the boat company likes to change their schedule everytime, but we finally arrive to Messina where, after having some of the famous « Arancini » for lunch, we take the car up to mount Etna for the second time. 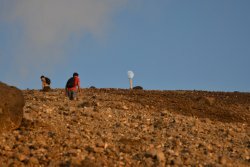 The reason is no other than the fact than at 1500m height the night temperatures are fresh, and this is something the group really needed. There is also some time to make a final exploration : A cave not far from our campsite that turns to be splendid, where we can see the ancien ground level of lava. 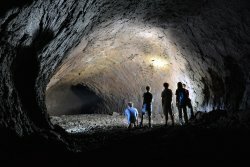 This lava tube is even bigger than the one we saw some days ago. The expedition has been a great success according to the opinion of all members, staff included, so we must celebrate that. And here in Italy there’s no better way to celebrate than pizza ! 6 huge, enormous, monstruous pizzas await us for dinner. 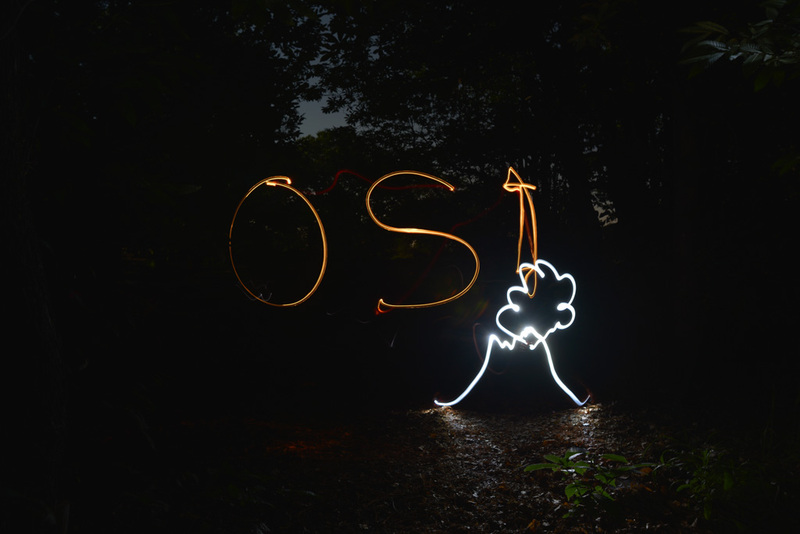 We also have some time after to play with the photo camera making light pictures (light painting). And dance too, with the music from the car radio. Now it’s time to say goodbye to so many adventures, but we hope to see you all in the future with new challengers.